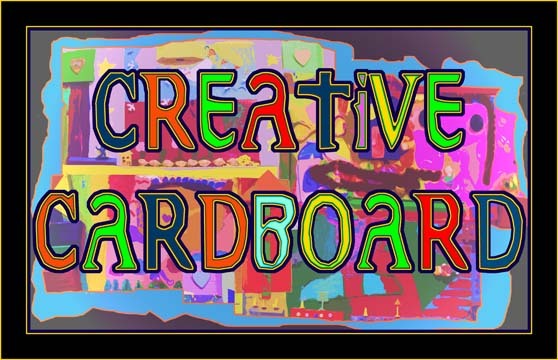 Creative Cardboard – A Live Participatory Art Installation! I mentioned the other day that I was doing a big project for this coming Canton First Friday. Here it is! I was inspired recently by viewing some amazing artworks made of cardboard and a live installation at the Third Friday event for the 78th Street Studios in Cleveland. I decided to bring a bit of that excitement to Canton. This Friday in Canton (July 6, 2012), I will be creating a live art installation with First Friday participants, allowing them to create with me. The artwork will be made of cardboard, however, do not think for a moment that it will be drab or dull. I am planning a wonderful and colorful experience that will be fun for all. I will be at the Creative Ohio Gallery at 310 4th St. NW. If you are in town, stop in and create with us! Have a Happy, Safe and Creative Fourth!